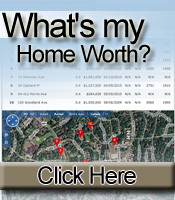 Why Use a REALTOR® When Buying a Home in New Jersey? Real estate transactions involve one of the biggest financial investments of most people’s lifetime. Transactions today usually exceed $250,000. If you had a $250,000 income tax problem, would you attempt to deal with it without the help of a certified professional accountant? If you had a $250,000 legal question, would you deal with it without the help of an attorney? Considering the small upside cost and the large downside risk, it would be wise to work with a professional REALTOR® when you are buying a home in New Jersey. New Jersey has some distinct differences in the home-buying process and the right REALTOR® can help you navigate the local protocols to your advantage. Be sure you choose a REALTOR® who is truly local and experienced. As your REALTOR® we can help you determine your buying power - that is, your financial reserves plus your borrowing capacity. If you give a REALTOR® some basic information about your available savings, income and current debt, he or she can refer you to lenders best qualified to help you. Most lenders - banks and mortgage companies - offer limited choices. 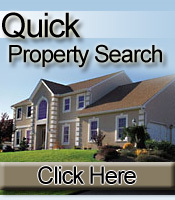 Your REALTOR® has many resources to assist you in your home search. Sometimes the property you are seeking is available but not actively advertised in the market, and it will take some investigation to find all available properties.